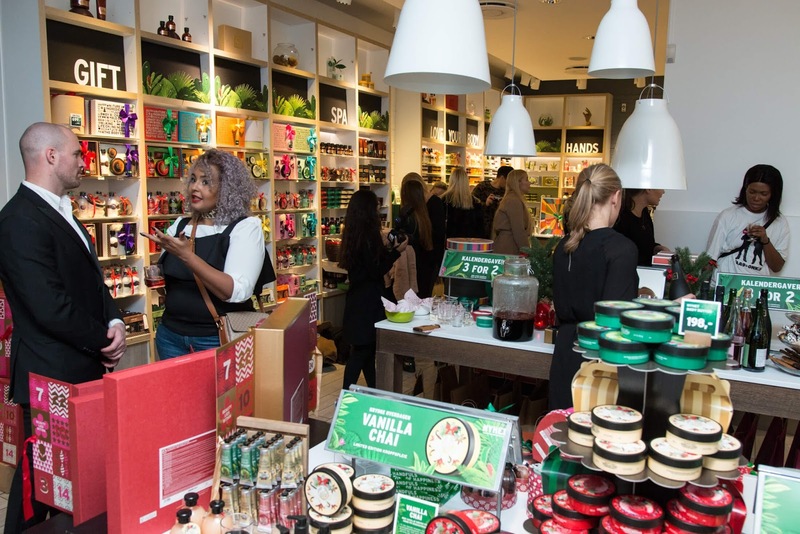 The Body Shop er en av verdens grønneste skjønnhetsgiganter! Tirsdag 15. november inviterte de til "årets villeste juleevent" i sin butikk i Torggata 2 med fokus på å beskytte ville jungeldyr og regnskog. 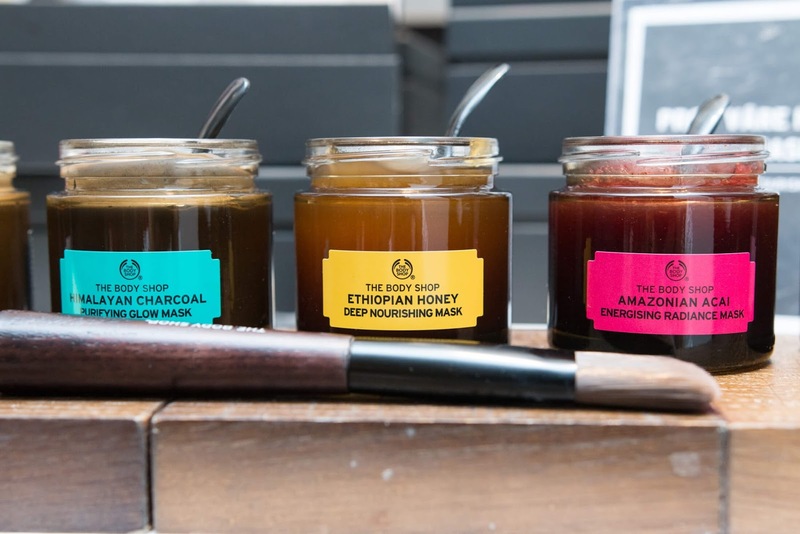 The Body Shop er i mot testing på dyr og gjør i tillegg en rekke tiltak for å produsere bærekraftig. 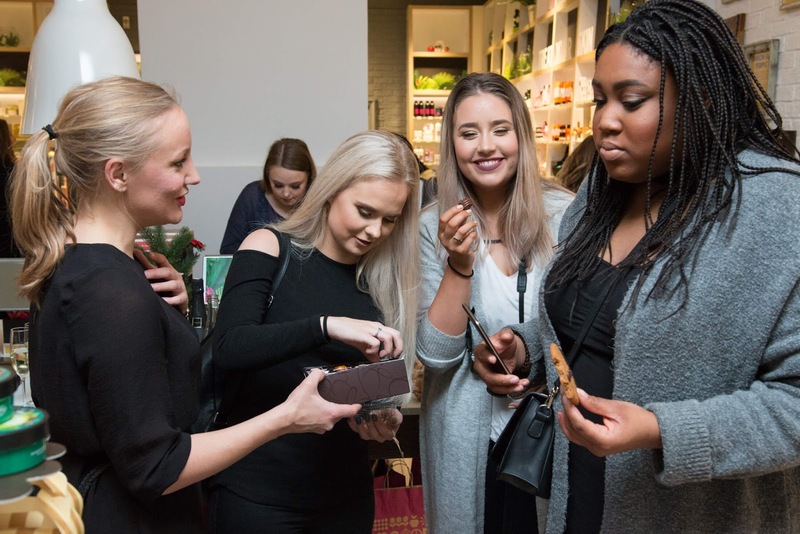 Nå har de lansert sminke som passer for vegetarianere, og snart kommer også flere produkter for veganere. 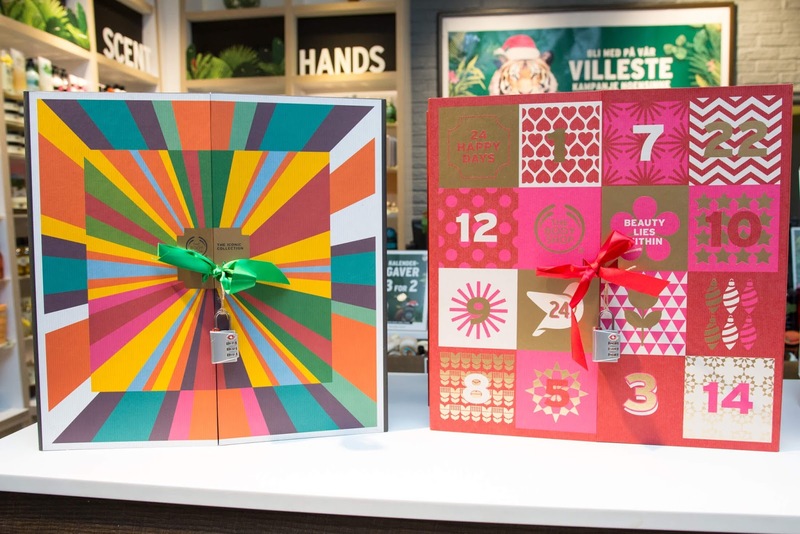 The Body Shop lanserer også en svært grønn jul. 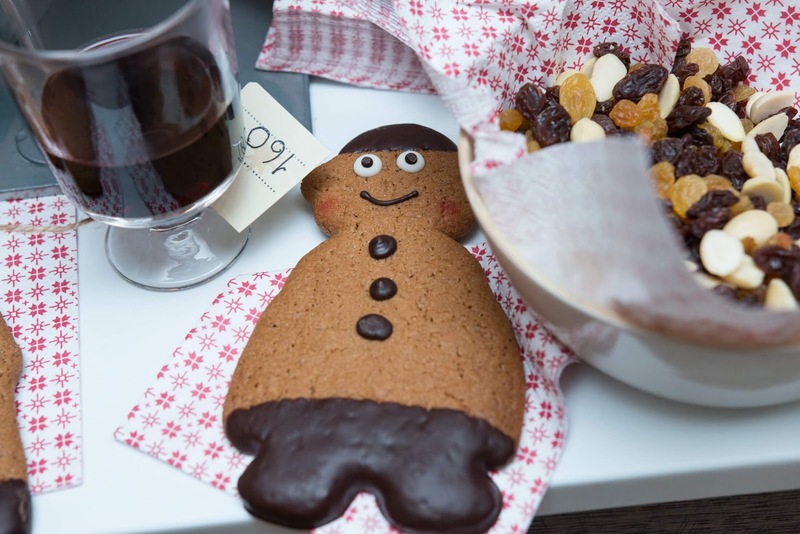 Per julegaveinnpakning/julesett du kjøper, beskytter én kvadratmeter regnskog. 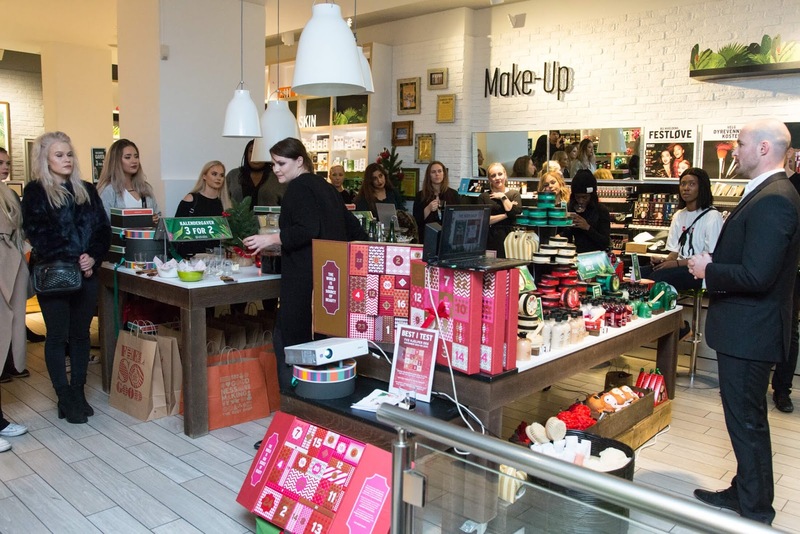 The Body Shop har som mål å ha beskyttet hele 75 millioner kvadratmeter med regnskog og habitat i Malaysia, Indonesia og Vietnam innen 2020. 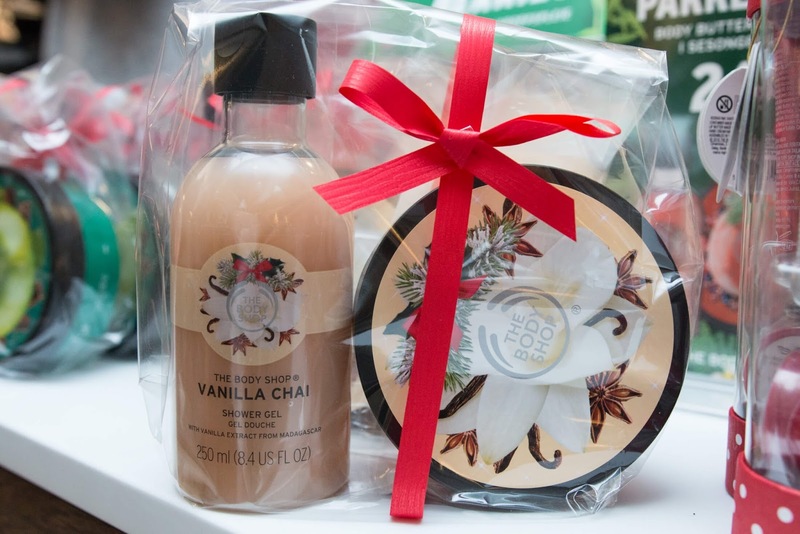 Årets tre, herlige "limited edition" juledufter er: Spiced Apple, Frosted Berries og Vanilla Chai. Min favoritt er sistnevnte. 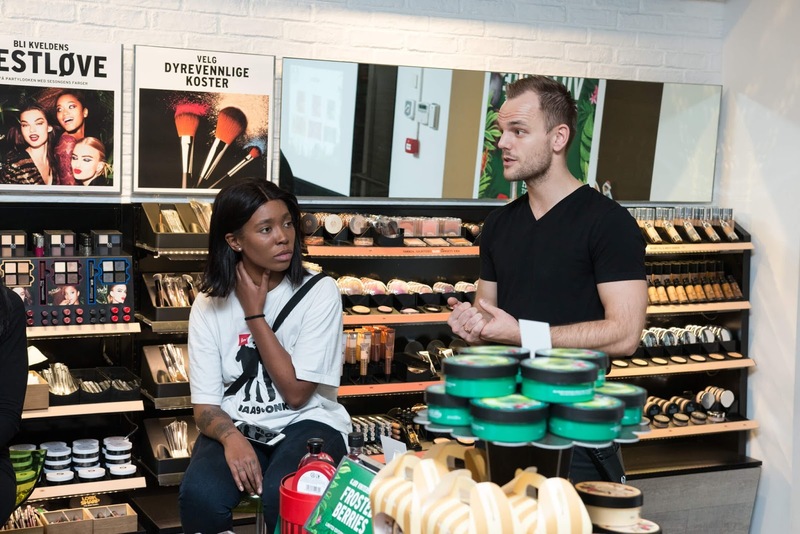 Bradley Schaeffer, Product Manager in The Body Shop, told about the green initiatives and charity measures they're doing. 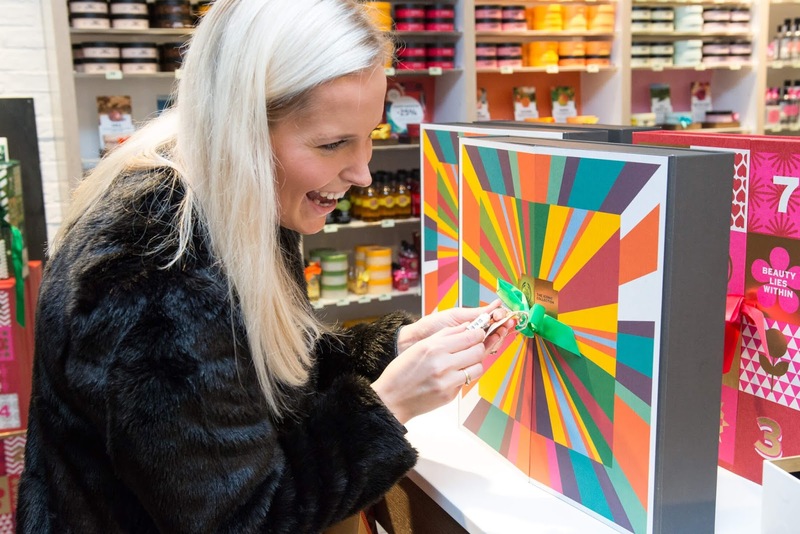 The Body Shop is one of the greenest beauty giants in the world! 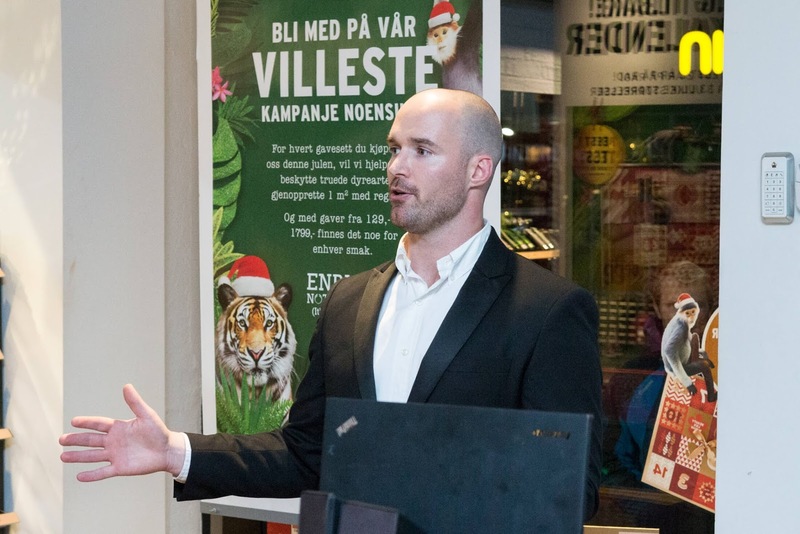 On Tuesday 15th of November, they invited to 'The wildest Christmas event of the year' in their store in Torggata 2, Oslo, with focus on protecting wild jungle animals and rainforests. 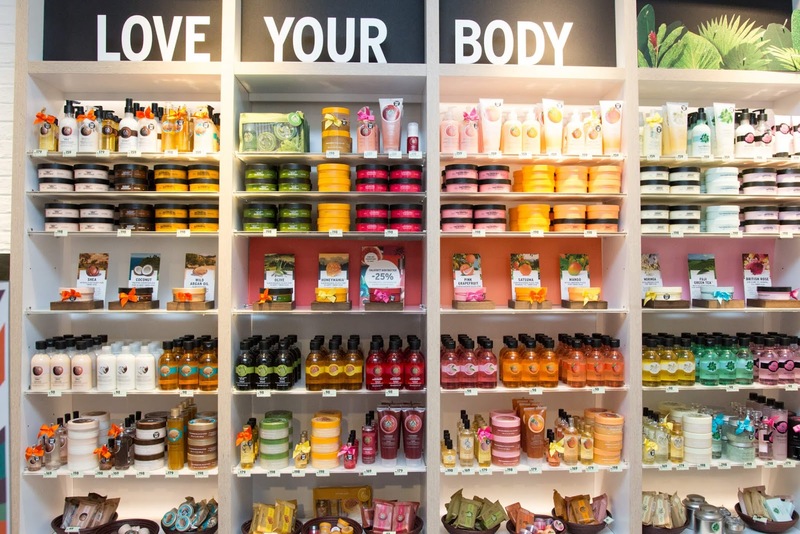 The Body Shop is forever against animal testing and makes several measures to produce in a sustainable way. 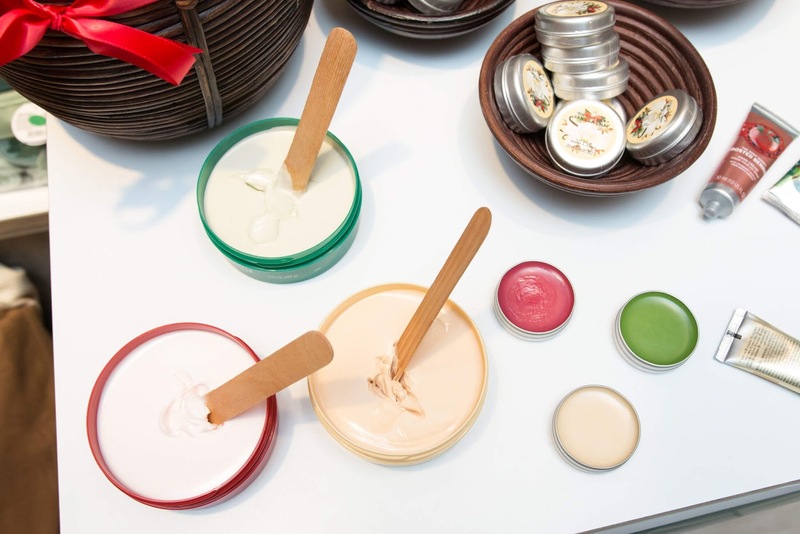 Now they've launched makeup suitable for vegetarians, and soon there will be products for vegans as well. 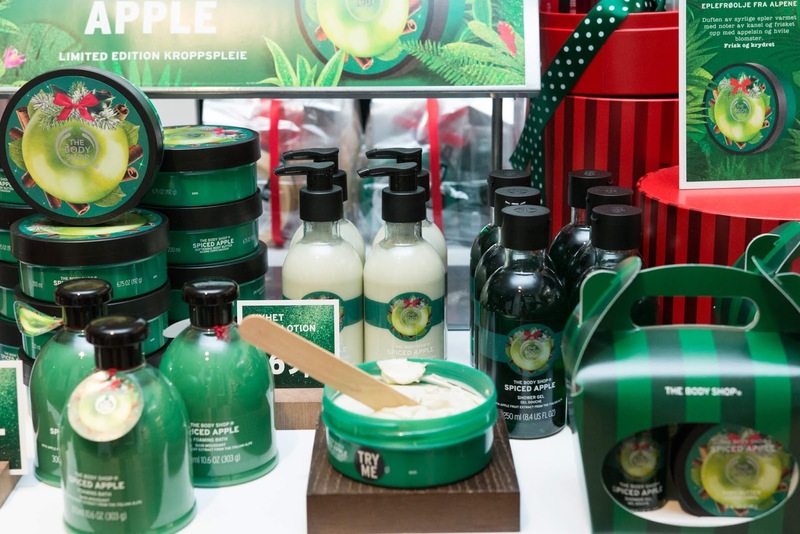 The Body Shop launches a very green Christmas. 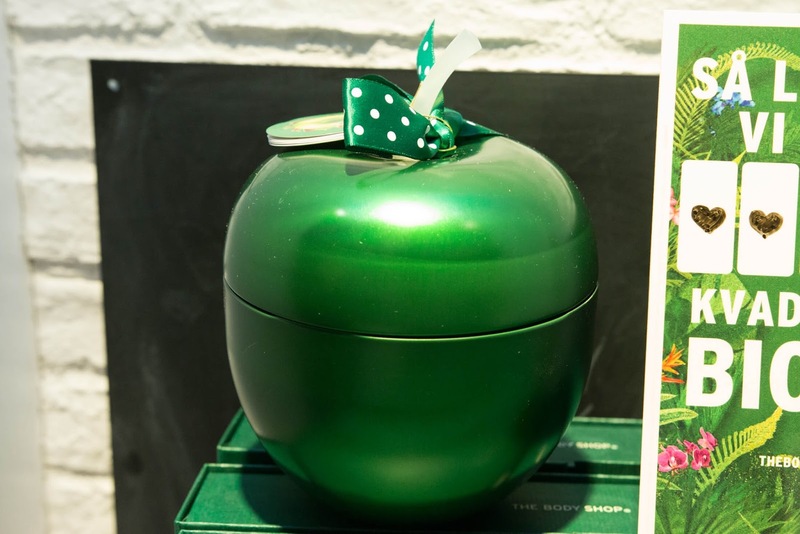 For each specially selected and bought Christmas gift, you protect one square meter of rainforest. 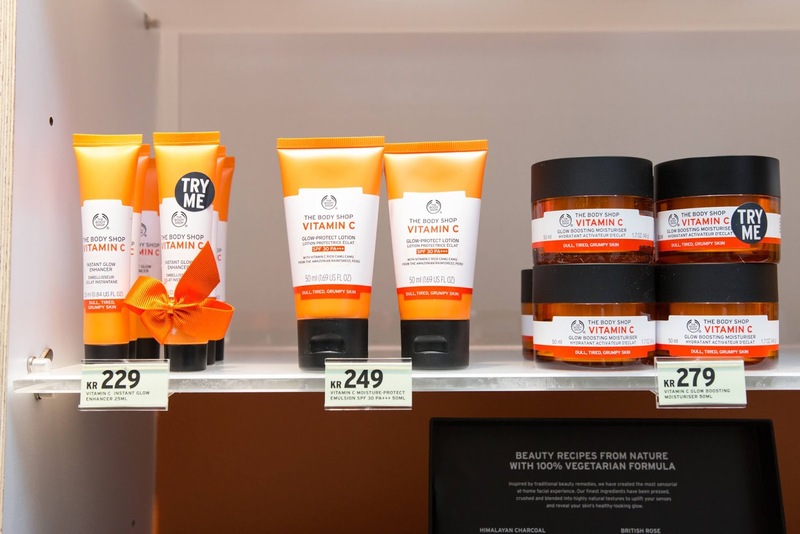 The Body Shop has as their goal to protect 75 million square meters of rainforests and habitats in Malaysia, Indonesia and Vietnam within 2020. 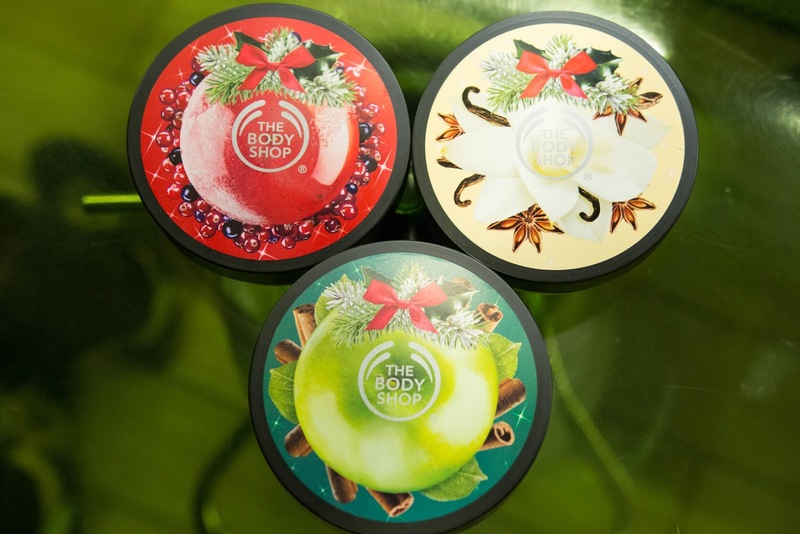 The three limited edition scents for this Christmas are: Spiced Apple, Frosted Berries and Vanilla Chai. My favourite is the latter. A lot of people listened carefully to the green initiatives. 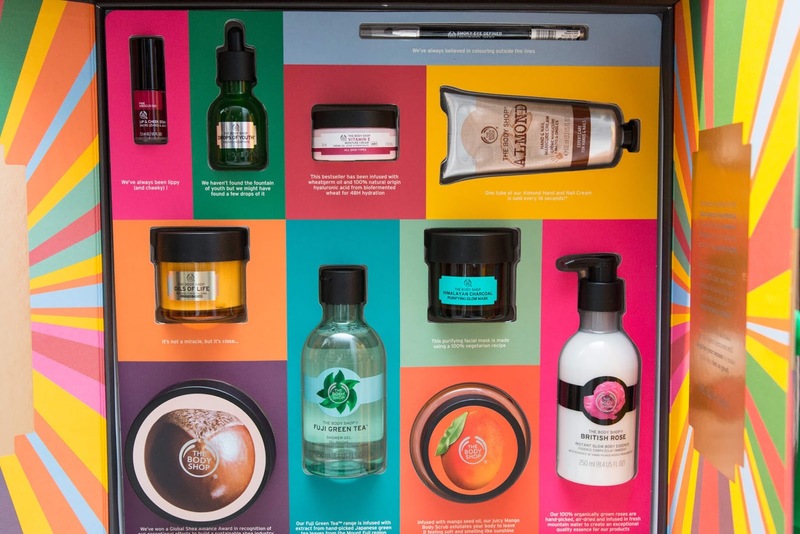 The Body Shop have been elected 'best in test' for beauty calendars! They have the extremely popular calendars available in three different big sizes. 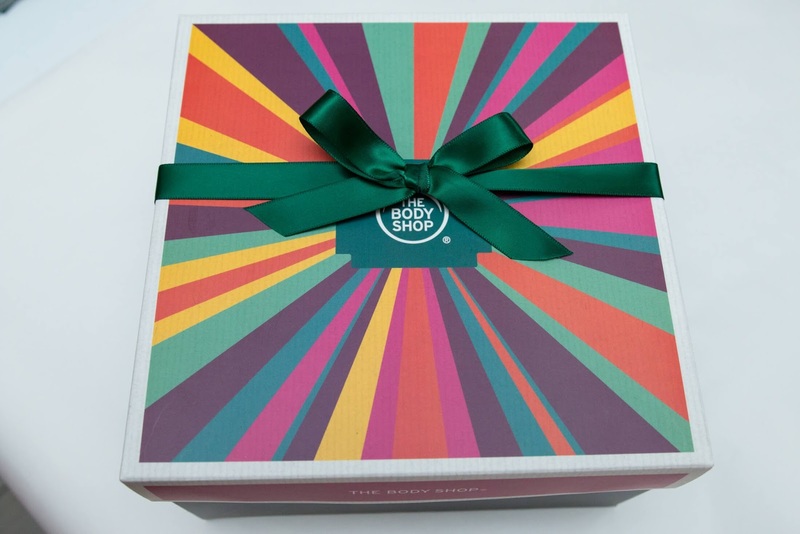 An exclusive limited edition gift set with the most iconic The Body Shop products. The perfect Christmas gift! 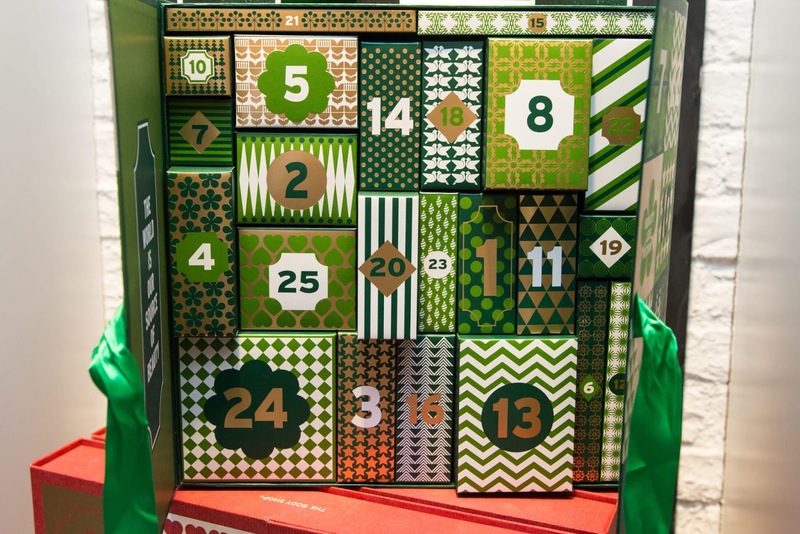 All guests got a three digit code on their wine glasses - and two of them opened codelocks for a gift set and a calendar. 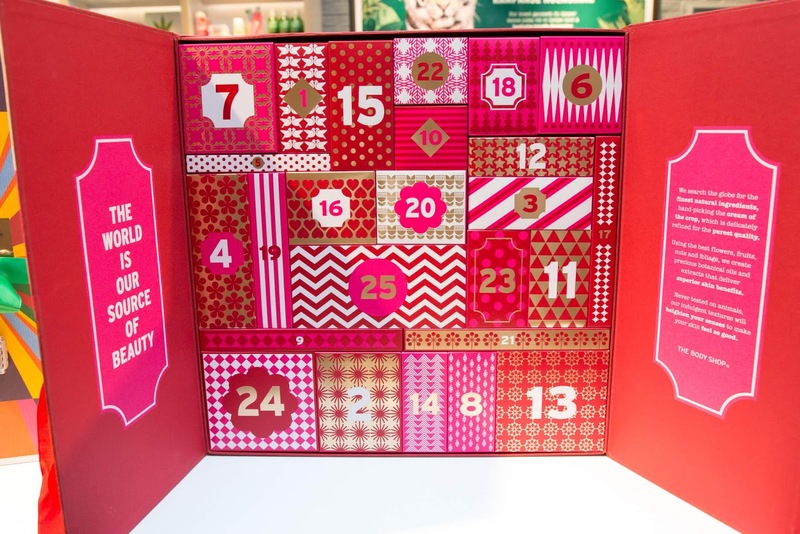 OMG - I won this big gift calendar! Lucky me can enjoy a gift calendar for the first time since I was 18 years old and still living with my mother. 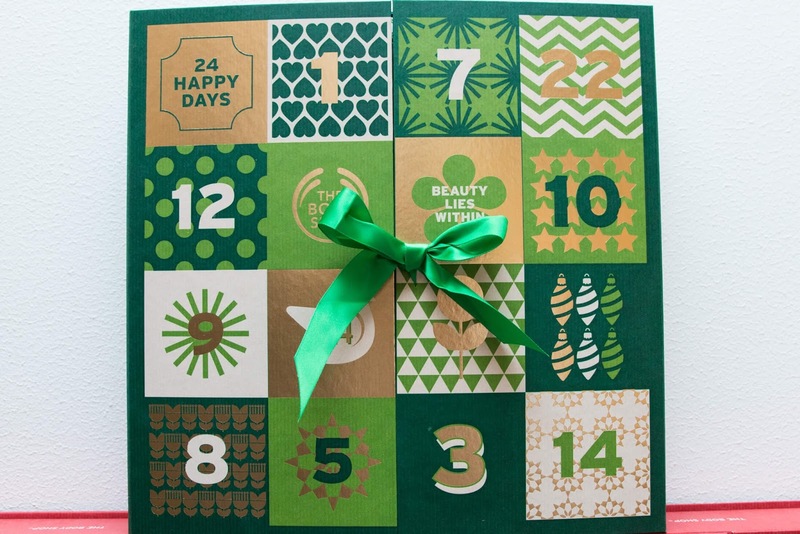 I've craved for a The Body Shop calendar for years now! Thank you so much! 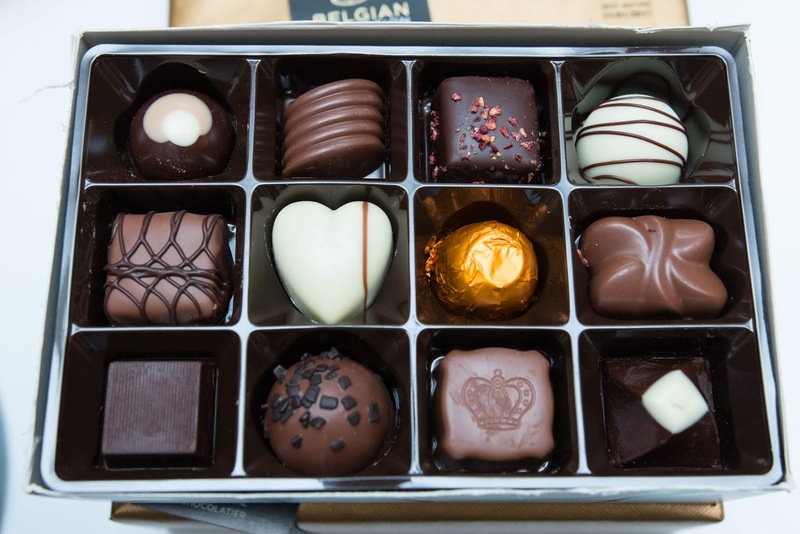 Delicious Belgian chocolate from Marks & Spencer. 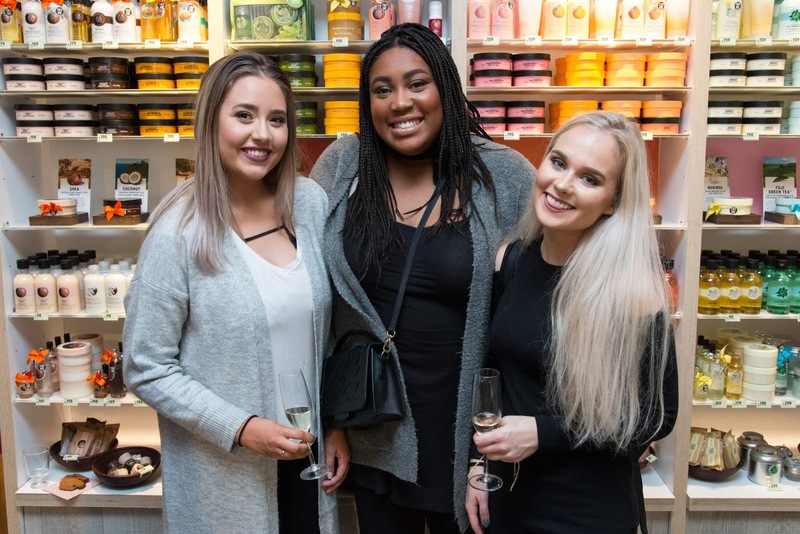 Makeup expert Lars-Ivar Ødegaard in The Body Shop told about the 'wild' party makeup trend this party season with dark, bold eyeshadows. 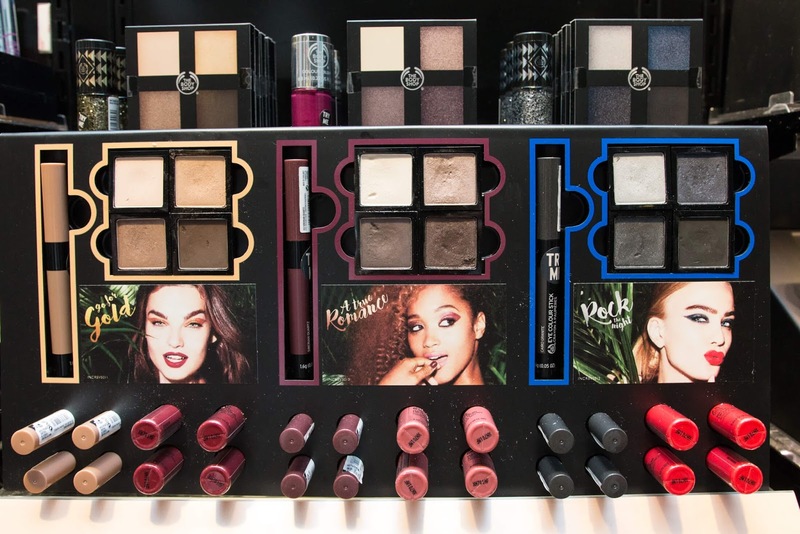 Dark and bold eyeshadows are trendy this party season! 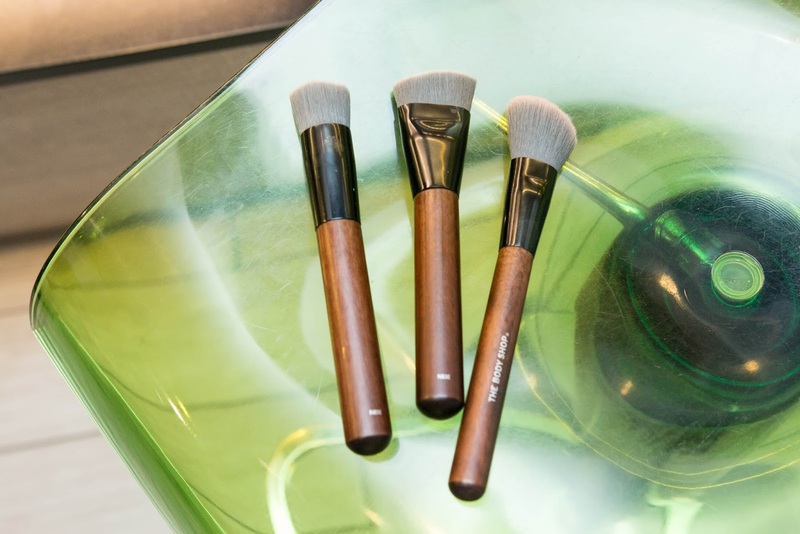 Eco-friendly new brushes - and they're also very good! 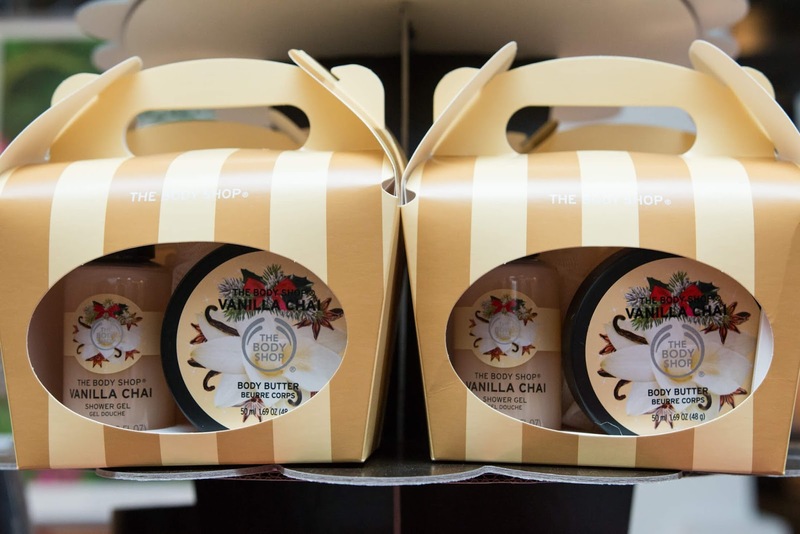 Each guest got a goodiebag with a selection of their favourite limited edition Christmas scent. I chose Vanilla Chai! 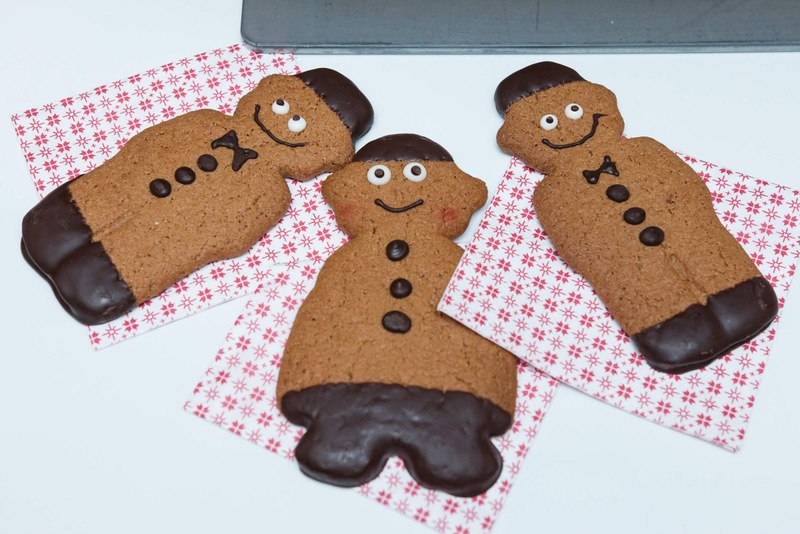 Create your own gifting! 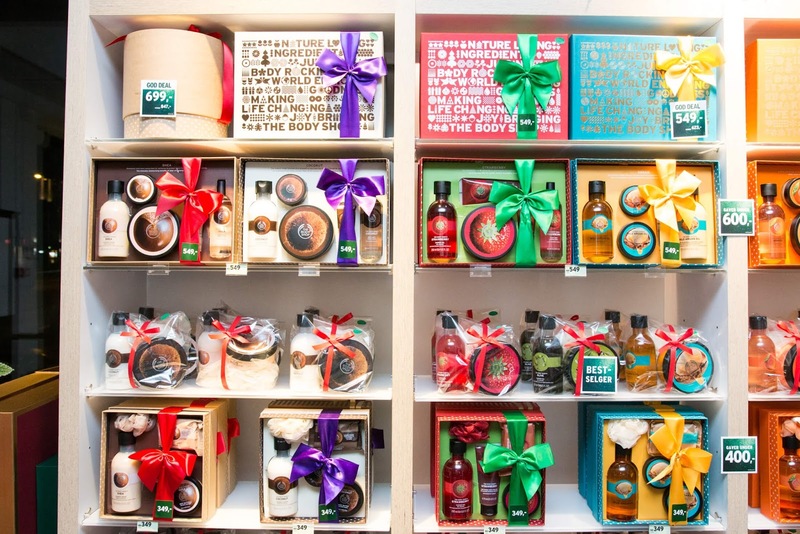 Select the products you want and put them into a wonderful gift box when you're visiting a The Body Shop store! 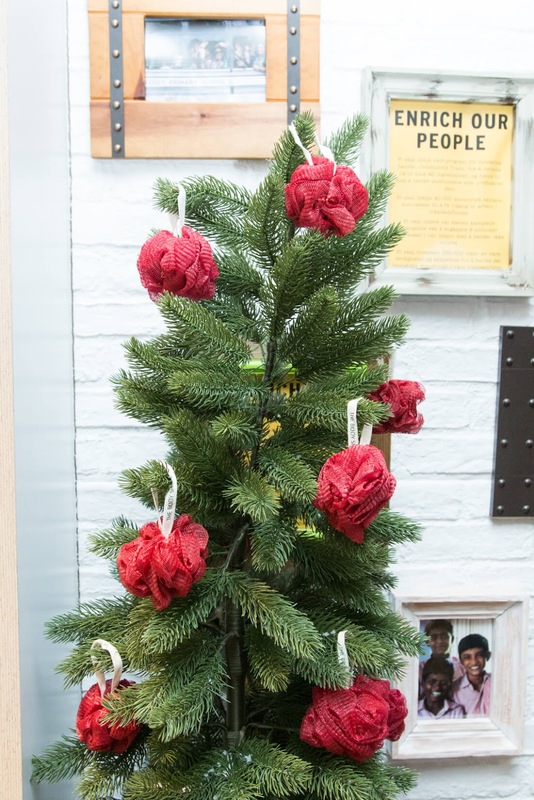 What a great decoration idea! Sponges as ornaments! 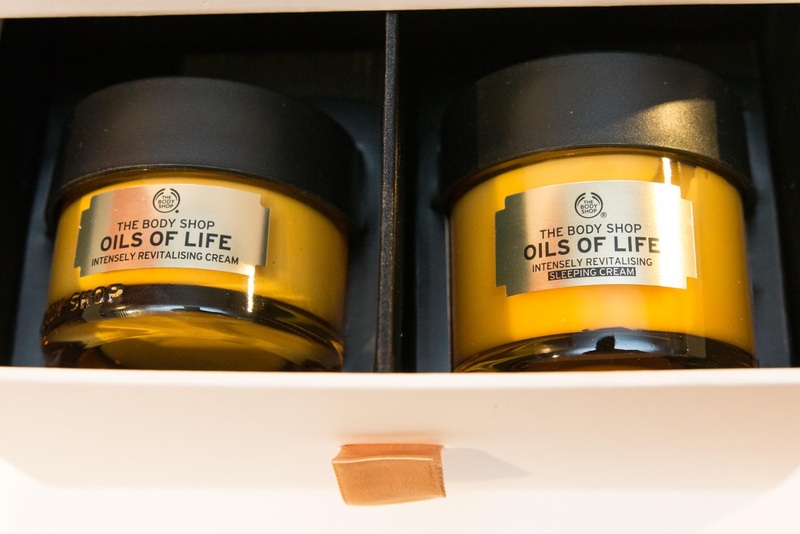 The Oils of Life series is a great gift tip. I love it.